BimedaEquineUS, a PATH Intl. sponsor, wants to recognize and thank a volunteer. Nominate a volunteer from a PATH Intl. Center, and he or she will have a chance to receive a "Thanks for Your Time" Bimeda $50 American Express Gift Card. Because we know those special folks care about your center and its horses, Bimeda will donate a 50 dose pack of Bimectin® (ivermectin), Exodus® (pyrantel pamoate) and Equimax® (ivermectin/praziquantel) dewormers to the volunteer's center. Nominate your volunteer today! Thank you to Populous for joining PATH Intl. as its newest pewter-level sponsor. Todd Gralla of Populous, the official architecture and overlay designers for the London 2012 Olympic Equestrian Games, will be presenting on EAAT facility design at the 2012 PATH Intl. Conference in Bellevue, WA, October 31 - November 3. Welcome, Populous! Other volunteers represent all current PATH Intl. certifications, including riding (Sandy Webster and Patti Coyle), driving (Tina Bennett), vaulting (Alison Plaza) and equine specialist (Memree Stuart). Other groups represented include AHA (Janet Weisberg) and EFP/EFL (Leif Hallberg). Oversight Committee representatives include Certification Oversight (Marsha Anderson) and Education Oversight (Lynn Petr). Pfizer Animal Health and American Horse Publications named the Equine Land Conservation Resource (ELCR) the recipient of the eleventh annual Equine Industry Vision Award, the first of its kind to showcase innovation across the entire equine market, as well as recognize ingenuity and service. ELCR is an educational and networking resource for horsemen and communities, providing the information horsemen need to protect horse lands and trails in their home town. ELCR is concerned about the broad range of horse land issues asking the question, "Where will you ride, drive, compete, race, raise foals, and grow hay in the future?" Everyone knows that Starbucks was born in Seattle. But did you know that the world's first soft-serve ice cream machine was located in a Washington Dairy Queen? 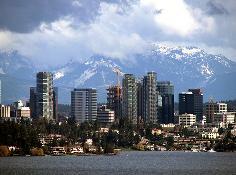 In 2008 Bellevue was ranked #1 in CNNMoney's list of best places to live and launch a business. Washington is home to many innovative Internet companies, including amazon.com, classmates.com, whitepages.com, expedia.com and Marchex. Other businesses in Bellevue include Eddie Bauer, Microsoft, T-Mobile and Verizon. Like to play games? Pictionary and Cranium were both invented in Washington. 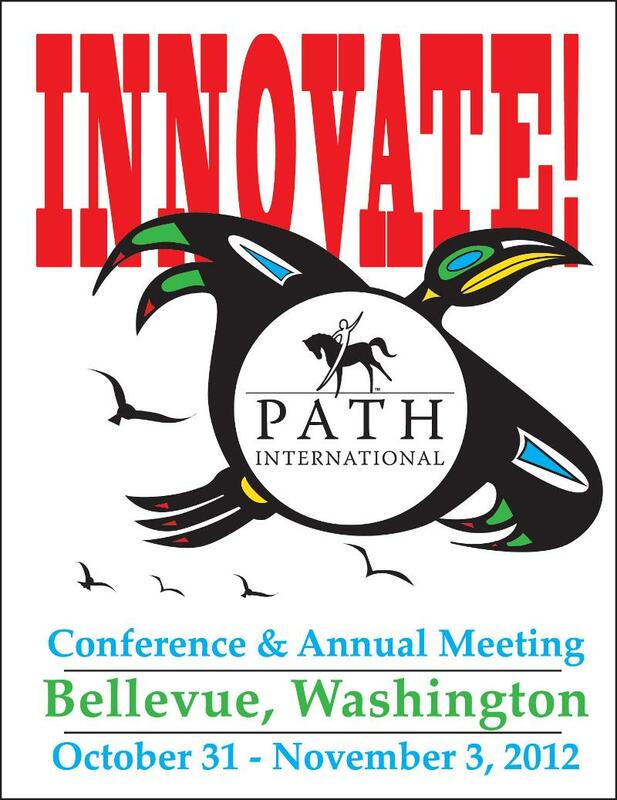 You won't want to miss a minute of the 2012 PATH Intl. Conference and Annual Meeting. Look for the registration booklet included with the Summer issue of PATH Intl. Strides, coming in July and register early! PATH Intl., with funding from the Build-A-Bear Workshop Foundation, recently provided seven scholarships for a total of $1,800 to allow children in need to participate in a therapeutic horsemanship program. The Riders Assistance Fund provided funds for participants at seven PATH Intl. Premier Accredited Centers. Originally, the fund was set up to give one $300 gold-level need-based scholarship. However, thanks to the generosity of the Build-A-Bear Workshop Foundation, PATH Intl. was able to give out six additional $250 silver-level scholarships in 2012 to PATH Intl. Premier Accredited Centers. If you have any questions or would like to donate to this fund, please contact Megan Ream Ferry at (303) 452-1212, ext. 107. Premier Accredited Centers, please look for information on the 2013 Riders Assistance Fund scholarship in January! PATH Intl. is seeking Membership Oversight Committee Region Representative nominations. The PATH Intl. annual nomination process for region representatives is underway. This year nominations are being accepted for even-numbered regions: 2, 4, 6, 8 and 10. Click here for requirements and to download the fillable nomination form. Nominations are due to your current region representative no later than July 15. If you prefer, you may print the nomination form, fill it in by hand and mail it to the PATH Intl. office. All handwritten nomination forms must be received by the office by July 15 in order for the nomination to be considered. If you have any questions please contact Jama Rice at the PATH Intl. office. Horses and Humans Research Foundation (HHRF) recently announced a unique initiative to investigate the therapeutic effects of equine-assisted activities for military veterans with Post-Traumatic Stress Disorder (PTSD) and/or Traumatic Brain Injury (TBI). It is the first of a series of specially focused research initiatives planned by HHRF for the coming years. $50,000 in research funding will be offered through a competitive and rigorous application and review process. Grants are selected on a competitive basis, taking into account scientific merit, scientific and clinical significance and relevance. Information for applicants, including application materials, previously funded projects, review guidelines and more, are available at HHRF's website or by contacting KC Henry, HHRF Executive Director and PATH Intl. life member. 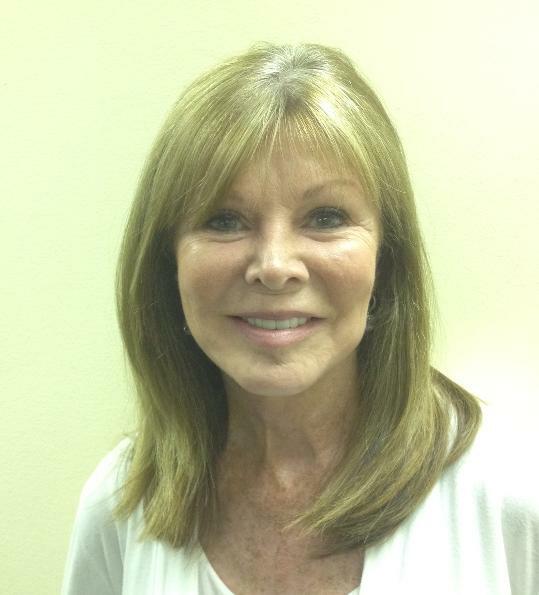 Welcome to Denise Fager, the new PATH Intl. Certification Coordinator. Denise will be working in the programs and education department, working with committees and OSWC events. Denise began volunteering at the J.F. Shea Center for Therapeutic Riding in San Juan Capistrano, CA, in 2002 and became a PATH Intl. Certified Registered Instructor in 2008. Denise is passionate about her work at PATH Intl. "To work with the members who witness the profound healing that takes place daily...that is one of the most gratifying and rewarding experiences of all!" Congratulations to the following new centers that have recently joined PATH Intl. We're excited to have you with us. Ann Romney, wife of Republican presidential candidate Mitt Romney, recently visited Marion Therapeutic Riding Association, a PATH Intl. Premier Accredited Center in Ocala, FL. Romney, who has multiple sclerosis, credits her progress to therapeutic riding. "A horse got me out of bed ... and living life," she said. Click here to read the full article. Do you know a farrier or equine veterinarian who provides much-needed hoof-care work for a therapeutic riding center without charge? Or maybe someone who provides footcare to an equine group in need of help? To recognize the dedication and volunteer efforts among hoof-care professionals, American Farriers Journal is again sponsoring the "Summit Achievement Award." 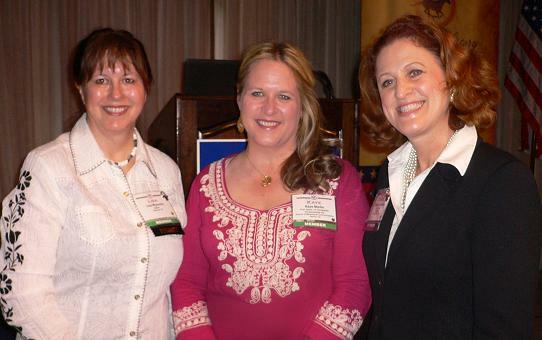 The 2013 award winner will receive $2,000 as well as free registration and paid travel expenses to next winter's International Hoof-Care Summit, January 29 to February 1, 2013, in Cincinnati, Ohio. Anyone can submit a nomination for the 2013 Summit Achievement Award before August 31, 2012. Visit the American Farriers Journal website for details and to obtain the entry form for this recognition program. Nominations are due before August 31, 2012. The Para-Equestrian Selection Trials for the 2012 team were held at Fern Meadow at USEF Headquarters in Gladstone, NJ, June 10-13, 2012. 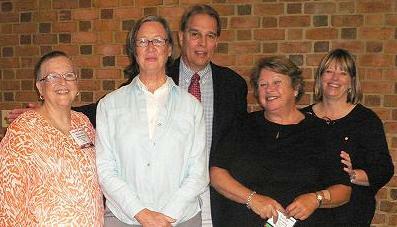 The team selected Rebecca Hart, Jonathan Wentz, Donna Ponessa and Dale Dedrick. Go USA with Chef d' equipe Missy Ranshausen! PATH Intl. member Sandy Rafferty will be a part of the para-equestrians as a previous coach and now an FEI steward at the competitions! Looking forward to a very successful competition in London for the USA. Click here for more information about para-equestrian events or riders! The U.S. Department of Agriculture Animal and Plant Health Inspection Service has amended the horse protection regulations to require horse industry organizations or associations that license "designated qualified persons" to assess and enforce minimum penalties for violations of the Horse Protection Act, to become effective July 2012. According to the USDA, this will strengthen the enforcement of the Horse Protection Act. Click here to read more about this amendment and the history of the Horse Protection Act. Check the region conference calendar or your region's webpage for the latest details.